Back in August an interesting thread was started on diyaudio.com. It described a FIFO buffer and reclocker, aimed at SBCs and more specifically the RPi. The FIFO board would be able to “fix up” the RPi’s problematic I2S output so as to improve the sound quality of the used DAC. As the discussion progressed, more interesting details came to light. Kali was basically an FPGA design with on-board RAM, high quality clocks and flip-flops. It would buffer the DATA stream in RAM (about 0.7 seconds of audio) and it would then reclock it using flip-flops outside of the FPGA. The clocks used for the reclocking would be high quality NDK units sporting extremely low phase noise. It would be powered by a 5V/3A power supply and would supply filtered power to the RPi (or not, selectable by a jumper) as well to the DAC that would sit on top of Kali. It would have a claimed 3ps of jitter, which is an impressive feat for any I2S source. It would provide a high quality MCLK output from a U.FL jack underneath the board. The board’s general availability was scheduled for the end of August, and its price would be in the neighbourhood of $70. At around mid August cdsgames offered to give away a number of units to diyaudio members for testing. I took him up on his offer and he was kind enough to send me one (along with a Piano 2.1 DAC board, but that’s for another post). Fast forward to mid-September, when I received a package from India. In it was Kali and Piano 2.1 (more about that in another post). On the left side of the board we can see the DC IN jacks (barrel and pin header), plus a couple of inductors that help with filtering the power lines. On the top left there is a jumper that controls whether Kali will supply power to the RPi or not. 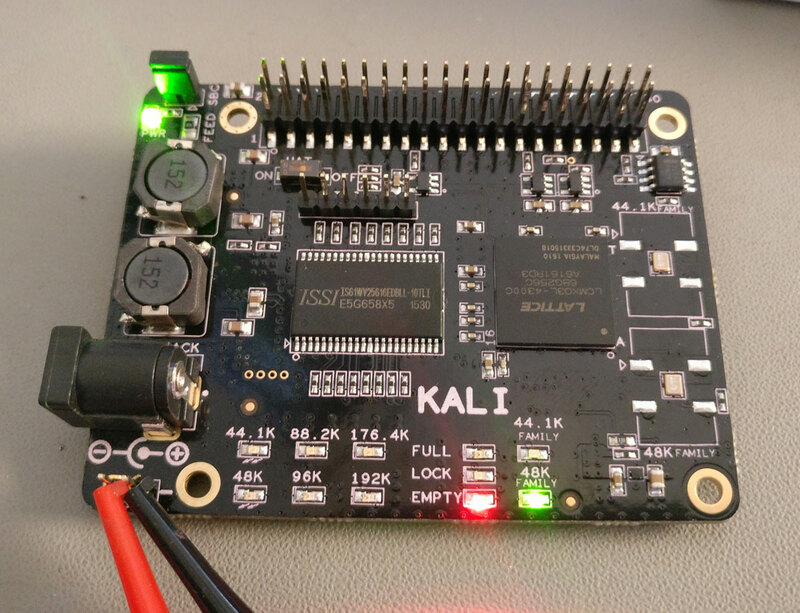 The Kali lists as minimum requirement a 5V/3A power supply. However, Kali itself will consume only about 100mA. The rest of the power is intended for the RPi and the DAC board. Note that Kali is designed so that it powers the RPi and not the other way around. In the middle of the board the two chips that dominate are the 4Mbit SRAM chip and the Lattice MachXO3L-4300 FPGA itself. To the right we have the two NDK clocks, one for each one of the two “families” of sampling rates. The Kali comes in two versions. One with clocks at 22/24MHz, capable of supporting sampling rates up to 192KHz, and one with 44/48MHz clocks, going up to 384KHz. Note that there are two footprints available for the clocks so that a curious (and somewhat experienced) DIYer can also try out clocks with different footprints, like for example Crystek units. If you choose to go that way, keep in mind that you will also need to change 2 capacitors from 0.01uF to 0.1uF. 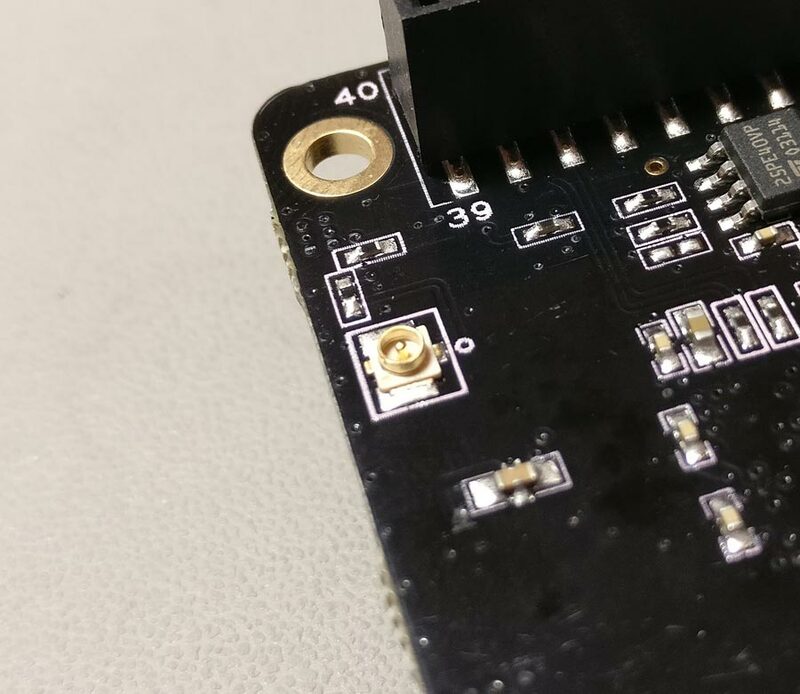 At the top of the board we have the usual 2×20 header that reproduces the RPi’s GPIO pins. 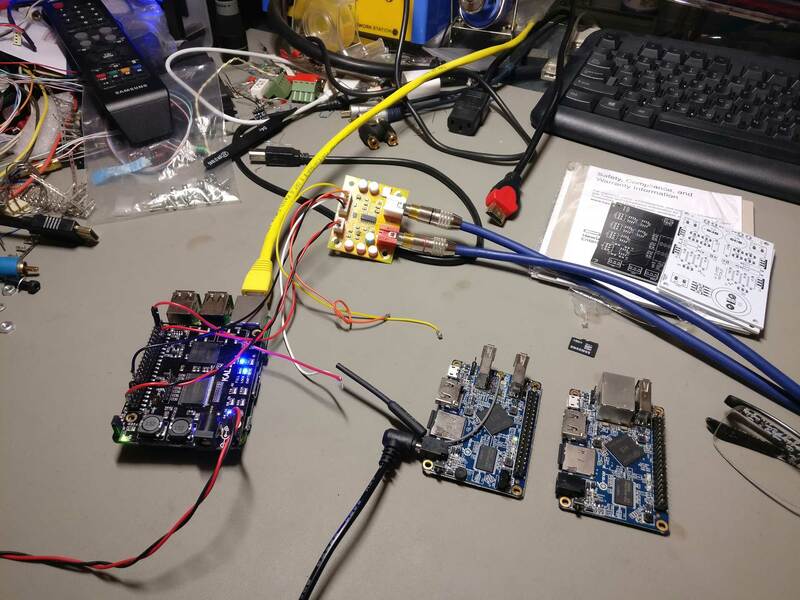 There is one notable exception – Kali does not supply 3.3V at the relevant pin, so if your DAC needs to take 3.3V from that pin it will not work (more on that later). 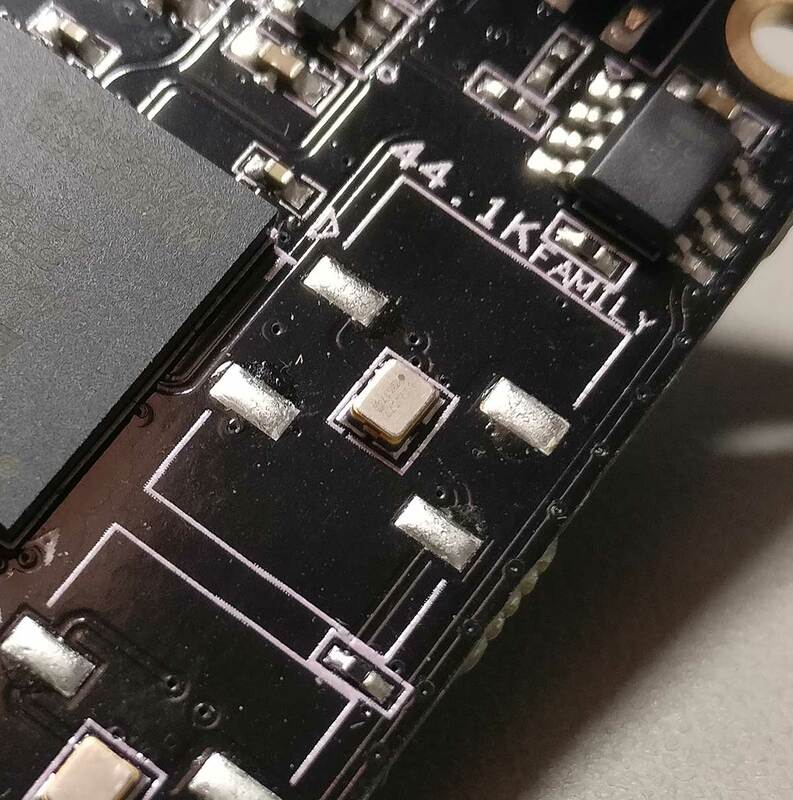 Note that even though Kali has a JTAG header, the manufacturer currently does not support firmware upgrades. That’s understandable.. JTAG is not for consumer use and the manufacturer has to protect his IP..
At the lower end of the board we have an array of LEDs indicating the sampling rate of the incoming signal, along with the status of the buffer (Empty / Full / Lock) and the selected oscillator. At the bottom of the board there is a U.FL socket that outputs Kali’s MCLK. So, we have an RPi, we have Kali, now what we need is a DAC. Kali will put a few restrictions on your DAC choices. Your DAC will have to run as “slave” to the RPi, that is it will have to take its BCLK from the RPi and not the other way around. Examples of such DACs include for example virtually all of the DACs based on ES9023 chips. DACs that are designed to run as masters (in order to battle the RPi’s legendary jitter problem), such as the Hifiberry Dac+ Pro & Digi+ will not work, at least not without some extra work. Plus, like I mentioned earlier, Kali does not supply 3.3V on its top 40-pin header, so if your DAC requires that voltage you’ll need to find a way to supply it externally. Straying a bit from the DAC HATs, Kali will have no problem feeding pretty much any DAC that accepts standard I2S, like for example a TPA Buffalo DAC. As a matter of fact, in my system Kali did a remarkable job of improving my RPi’s I2S output. The difference was obvious immediately. My RPi went from being a “net streamer quality” source to giving my Amanero a run for its money. Remarkable. I am not talking about differences in bass or treble or tonality. It is like Kali manages to extract more music content from the data files. It revealed details that were there but were not audible. The music became more “real”. Imagine going from SD TV to HDTV. And that with the same 44.1K/16bit source material. This improvement is not apparent only on expensive gear either. My first tests were done on my workbench with my RPi feeding an $8 9023-based DAC and listening through my headphones. Even with this setup, Kali made a significant improvement to the sound. The $8 DAC went from sounding like an $8 DAC to performing at least decently. It was an obvious improvement. So I can not imagine a scenario in which the Kali will not make an audible improvement to the sound. 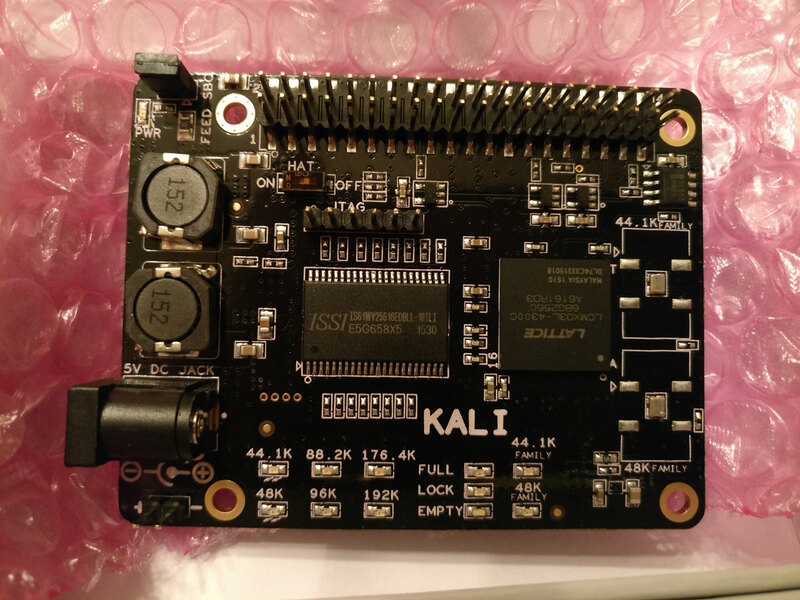 Note that the first batch of Kalis (the ones that were sent to reviewers and a small number of units that were actually sold) had a bug that caused 16bit audio to have its channels reversed (and some more weird stuff happening with their I2S output resulting in somewhat degraded sound quality), but according to allo.com all effected units have been exchanged with fixed ones plus the ones that are shipping now to customers come with a fixed version of the firmware. Even if for some reason you come by an affected unit, all you have to do is tell your RPi to output 32bit audio. That will fix everything. I’d like to thank Ioan (cdsgames at diyaudio.com) for sending me the remarkable Kali. It will for sure become a permanent part of my audio chain. At the time of this writing, Kali is being sold directly from its manufacturer’s site (allo.com) as well as from Volumio’s online shop. 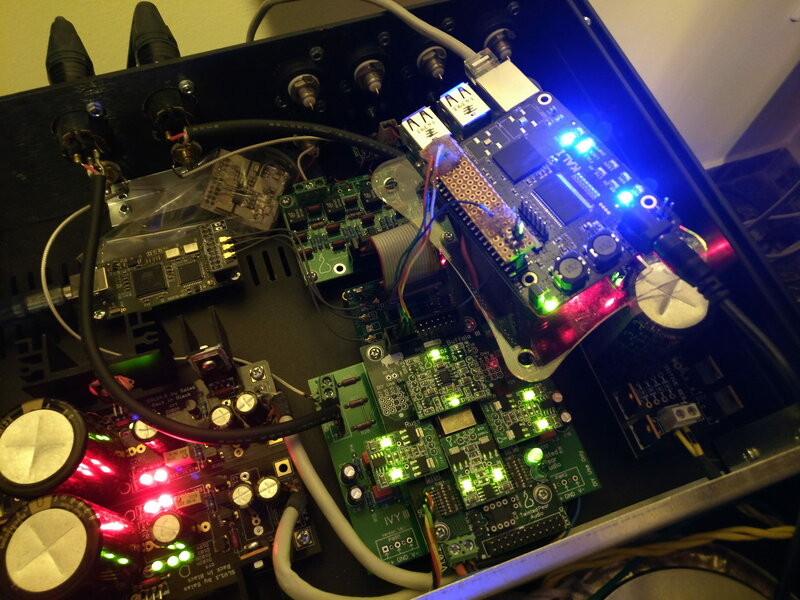 This entry was posted in DIY Audio, RPi and tagged FIFO, FPGA, I2S, Kali, Raspberry by Dimdim. Bookmark the permalink. Does i2s kali inputs and ouputs operated in 5v or 3,3v ? 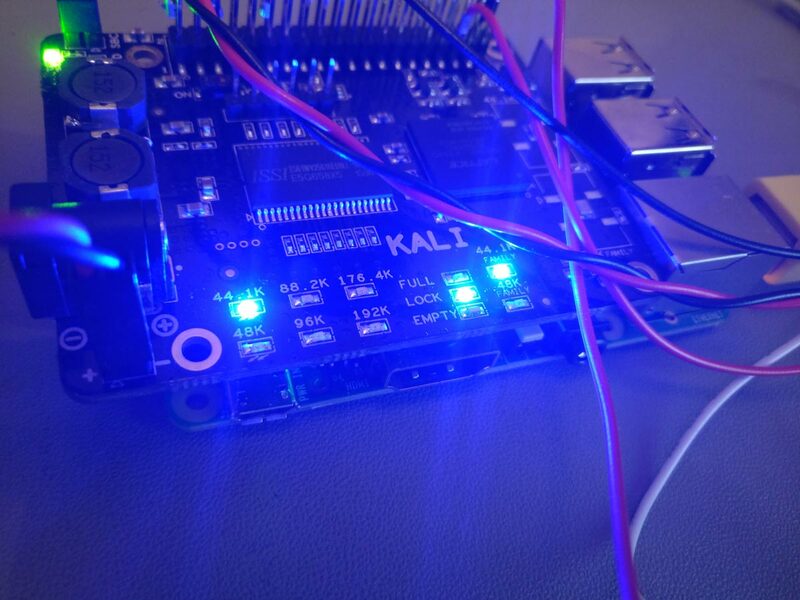 Kali operates at 3.3V levels, like the RPi. However, I don’t know whether its on-board regulators produce other voltages as well for its operation.